VIA created the mini-itx specification for itself, but since its creation other companies started creating motherboards with this spec and recently so has Intel. The spec allows for a low-power consumption CPU, which is great for point-of-sales machines, thin clients, and more. The other use of mini-itx, popular amongst personal users, is as a Home Theater PC (HTPC) or media center. There are several solutions available in this market. By far the most popular media box in the past few years has been a Microsoft product, the XBox. You can slap on an open source GPL media player onto the xbox - XBox Media Center (XBMC). This was great as a video, audio, and game machine for dvds, mpeg4 (xvid), and various audio formats. 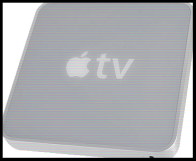 Alternatively Apple sells the Apple TV, which not only plays movies, but can connect to your shared ITunes library. However as with many things Apple (and not-Apple) it has limited uses even with the hack to allow xvid and DivX support. Author’s Note: I first wrote this before Mac World Expo January 2008. After investigating hardware articles and reviews of the boards on mini-itx.com I narrowed down my search to the VIA Epia EX 15000G. 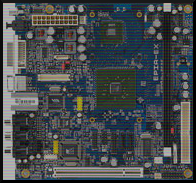 This newer board offered a “fast” 1.8ghz VIA C7 processor. A PCI slot would take care of a wireless card as I wouldn’t be dragging cat5 down from the router upstairs to the TV. It seemed to offer everything that I was looking for. It even had an on-board graphics chip with a mpeg2/mpeg4 hardware decoder though underpowered in 3d acceleration! The VIA Epia boards are also highly compatible in linux so that’s a plus. I delved deeper. I wanted to make sure that this board would suffice. After all I’ve never touched a processor other than AMD or Intel. However I’m afraid to say that the Unichrome Pro II mpeg2/mpeg4 hardware decoder is not usable at the current time. There have been numerous complaints that hardware decoding doesn’t work for .mkv files and even in Windows! Surprisingly the only h.264 playback possible was in linux with the now seemingly defunct Via enhanced MPlayer. This was the nail in the coffin. I’m not going to buy a board because it may work in linux with the supposed mpeg4 hw decoding support (and not at all in Windows). What does this leave us with? Software decoding? The C7 processor is not powerful enough to decode 720p let alone 1080p content. The cost of this machine and project will significantly increase switching from a mini-itx C7 processor board to perhaps an intel mini-itx core 2 duo mobile board or switch to micro-atx (about $150-$200 increase in budget with a core 2 duo mobile or desktop). The smallest really isn’t better. The links to Via arena are bad now. It looks like that site changed into “tkarena” and all the threads wiped.